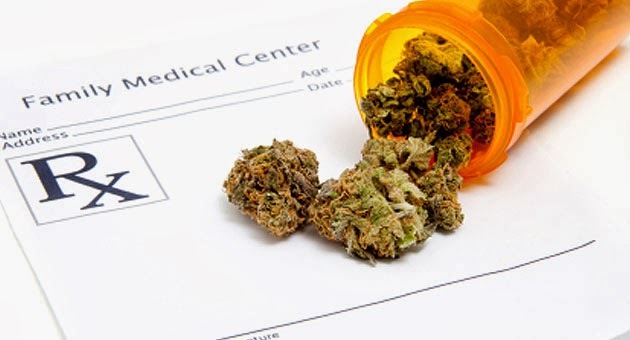 Medical marijuana has been approved for use by patients with myasthenia gravis in Illinois. The state is now among 19 others that have enacted legislation last year to legalize medical marijuana. The new law went into effect Jan. 1st, 2014. Myasthenia gravis is not usually listed specifically in medical marijuana legislation so it is noteworthy that lawmakers in Illinois decided to do so. A list of qualifying illnesses is below. The Illinois Medical Cannabis Pilot Program is overseen by the Illinois Department of Health, Department of Agriculture and Department of Financial and Professional Responsibilities, which will regulate the state’s 82 marijuana cultivation facilities and dispensaries when they open later this this year. Regulating agencies have 120 days to develop official rules and file them with the Joint Committee on Administrative Rules, a bipartisan legislative oversight committee that will review the rules and conduct a public comment period. Spokesmen for the Marijuana Policy Project expect the process to be completed by April 1. Under the pilot program, patients suffering from serious illnesses are permitted to obtain 2. 5 ounces of cannabis every 14 days with a doctor’s recommendation. Some patients may qualify for higher amounts, depending on their illness and condition at time of application. Patients must be registered and approved by the Department of Public Health to avoid arrest for marijuana possession. “Once this system is in place, seriously ill people who benefit from medical marijuana will finally have legal and reliable access to their medicine,” Lindsey added. Following is a list of qualifying illnesses under the Medical Cannabis Pilot Program Act. The medical conditions sare: cancer; glaucoma; HIV/AIDS; hepatitis C; amyotrophic lateral sclerosis (ALS); Crohn’s disease; agitation of Alzheimer’s disease; cachexia/wasting syndrome; muscular dystrophy; severe fibromyalgia; spinal cord disease; Tarlov cysts; hydromyelia; syringomyelia; spinal cord injury; traumatic brain injury and post-concussion syndrome; multiple sclerosis; Arnold Chiarimalformation; spinocerebellar ataxia (SCA); Parkinson’s disease; Tourette’s syndrome; myoclonus; dystonia; reflex sympathetic dystrophy (RSD); causalgia; CRPS; neurofibromatosis; chronic inflammatory demyelinating polyneuropathy; Sjogren’s syndrome; lupus; interstitial cystitis; myasthenia gravis; hydrocephalus; nail patella syndrome; residual limb pain; or the treatment of these conditions. Illinois Gov. Pat Quinn (D) signed the medical marijuana bill into law Aug. 1 with the support of more than 270 doctors, the Illinois Nurses Association and Illinois State Bar Association. Other states with similar legislation include Alaska, Arizona, California, Michigan, Rhode Island and Washington, D.C.
Cultivation and possession of marijuana for recreational use is legal (some permits required) in Colorado and Washington state. More information about Illinois’ Medical Cannabis Pilot Program is available at the program’s website. Kudos to Illinois! Let's hope that neighboring states follow suit.